Technology Sains / Samsung / Not Perfect, Wireless Charging On iPhone 8 Still Slow? Not Perfect, Wireless Charging On iPhone 8 Still Slow? September is coming soon, and what can we expect that Apple will bring the iPhone 8 to be the tenth anniversary of the iPhone. 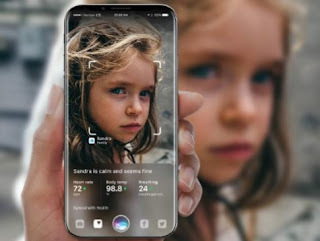 Not only will present with full-screen design, the smartphone is also expected to come with new features that have not existed on the previous iPhone, namely Wireless Charging. The presence of Wireless Charging feature is also reinforced by the news that says if the smartphone will come with a body made of glass, making it possible to carry the features of wireless charging. If that’s true, then the iPhone 8 will be the first iPhone to come with the feature. But as The Next Web reports, according to two different sources say if the wireless charging feature on the iPhone 8 will run slowly. A technology blog from Japan, Macotakara claims that the iPhone 8 will use Qi wireless charging standard 1.2 developed by Wireless Power Consortium (WPC). In addition, iPhone 8 will also support 7.5W / (5V / 1.5A) wireless charging which means that Apple may not be using 15W wireless charging. Apple is also said to be using the MFi chip on the wireless charging feature for the iPhone 8, which makes the iPhone 8 can not use Qi Pad or wireless docking for other devices. Given the leak of the iPhone 7s featuring glass material on the rear panel, it raises speculation if the duo of iPhone 7s and 7s Plus will also come with the feature. To find out the truth, we look forward to the next news considering the September coming soon.